Picture yourself at a hospital– maybe you are the patient, or perhaps your child has come down with an illness. The doctors and nurses are attentive, but there’s one problem: they all use a foreign language. Speaking from behind their masks, the medical professionals poke and prod the patient, gesturing at you and expecting answers. Without the ability to accurately describe symptoms or understand diagnoses, receiving medical care is extremely difficult. To help the deaf community get access to the medical care they deserve, specially trained Medical Interpreters should be utilized. Let’s face it, medical terminology and sterile healthcare settings can be overwhelming enough without a language barrier. When a person’s wellness is on the line, or even a person’s life, there is no room for misunderstanding. According to the National Association of the Deaf (NAD), “individuals whose language is American Sign Language (ASL) or another sign language are often denied access to the health care system because most providers do not provide adequate communication access through qualified interpreters.” That means hundreds of thousands of deaf individuals across this country struggle to receive appropriate medical treatment, simply because they use an American language other than English. This is not what equality looks like– it’s a violation of the Americans with Disabilities Act, and it is oppressive. In a healthcare setting, qualified Medical Interpreters must be provided upon a patient’s request to help ensure effective communication. If a patient, their family members, or companion utilize ASL as their primary form of communication, it is the duty of the healthcare institution to ensure these persons receive the same level of care as non-deaf patients. A doctors office might have some of the best practitioners in the field, but without a qualified Medical Interpreter to facilitate communication, that office does not provide quality services to deaf individuals. Sadly, this discrimination is common in the healthcare industry. Providing qualified Medical Interpreters is one of the most fundamental ways a healthcare institution can respect the rights of deaf patients. Medical Interpreters possess a specific skill set which enables them to facilitate the delivery of important, possibly life changing medical diagnoses. Qualified Medical Interpreters will be highly proficient in both ASL and English, demonstrating linguistic and cultural competency. 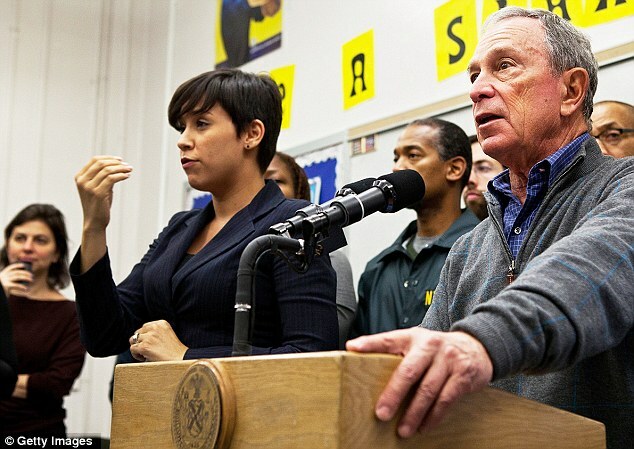 They will also be prepared to make accommodations for patients with little fluency in ASL or English, such as immigrants, or people who have developmental disabilities. 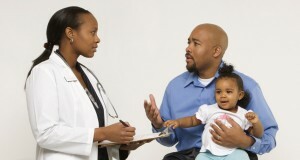 When a person’s health is in jeopardy, effective communication between the patient and doctor is absolutely critical. Doctors need to know specific symptoms with as much detail as possible. Patients deserve to understand the examinations and tests they undergo, along with any concerns their physician might have. Doctor-patient communication is very particular, and can mean the difference between early diagnosis and overlooking a serious issue. The healthcare industry has a culture all it’s own, with a language and lingo most laypeople can’t understand. Qualified Medical Interpreters are intimately familiar with medical terms, and able to communicate these concepts to deaf patients. A Medical Interpreter will arrive to an assignment already prepared to work with a specific patient, having researched their case as appropriate. 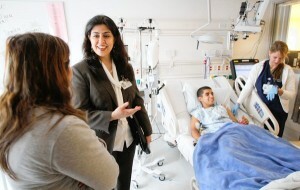 Specially trained Medical Interpreters must be flexible, ready to adapt to a less than ideal interpreting environment. This might mean interpreting during a eye exams, dental surgeries, X-Rays, MRIs, or other procedures which limit visibility for the patient. Medical Interpreters have a general understanding of these procedures and how they impact communication ability, and will be prepared to provide additional services as needed. A qualified Medical Interpreter knows where to stand and how to avoid disrupting medical professionals as they work. Those who work in the healthcare industry are part of a unique medical culture that has it’s own structure, value, and language. For example, there is a big difference between medical culture– where doctors average only minutes of face time with each patient, and deaf culture– where simple goodbyes often last half an hour. 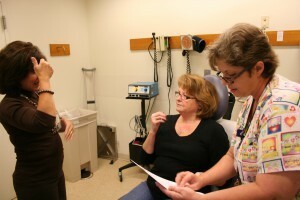 Because of their familiarity with both medical culture and deaf culture, Medical Interpreters are able to adjust their technique and provide special accommodations as needed. The ability to speak on the level of all parties helps effectively bridge the communication gap. Effective cultural mediation can lead to more accurate diagnoses, better healthcare outcomes, and help form positive relationships between patients and healthcare practitioners. Medical Interpreters play a very influential role in the healthcare of deaf individuals, so it is critical to know their own limitations. These interpreters must be self aware; prepared to turn down an assignment if they are not absolutely qualified for the job or if an ethical conflict arises. 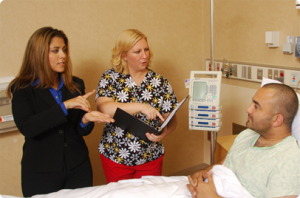 Medical Interpreters value the role of Certified Deaf Interpreters (CDIs) in healthcare settings, and understand how to work as a team with CDIs to facilitate effective communication. Specialized Medical Interpreters recognize the autonomy of deaf people from all walks of life, and endeavor to provide communication access without influencing the healthcare decisions of these individuals. Medical Interpreters adhere to strict confidentiality and privacy terms, in line with both the NAD/RID code of conduct and HIPPA guidelines. Oppression can be subtle and even unintentional, so one role of the Medical Interpreter is to help protect the rights of deaf patients at a time when they might be unable to do so themselves. Medical Interpreters are able to provide deaf individuals additional support and explanations, and can help practitioners understand the unique needs of their deaf patients. A qualified Medical Interpreter will advocate on behalf of the deaf consumer as necessary: for example explaining to nurses that arm restraints should not be utilized when a patient’s primary language is ASL, or that doctors should speak to the patient directly (not the interpreter). Medical Interpreters are familiar with laws that mandate healthcare, as well as the Americans with Disabilities Act, and endeavor to preserve the rights of deaf Americans under these laws. As technology becomes more integrated into our healthcare systems, it is important for Medical Interpreters to understand how these advancements impact the treatment of deaf patients. It is crucial that interpreters are able to explain the limitations of devices like Video Relay Interpreters (VRI) to healthcare professionals. There is a misconception that VRI will replace live interpreters; in truth, VRI is a “better than nothing” solution that quickly enables urgent communication. Medical Interpreters are able to describe the benefits and drawbacks of communication technologies, and should encourage institutions to educate themselves about these devices and systems. The healthcare field is constantly evolving, so Medical Interpreters must be ready to adapt. New machines, new procedures, and new terminology appear each day. Medical Interpreters are expected to engage in continuous professional development to ensure their skill set matches the current medical landscape. It is expected that Medical Interpreters will work to address in any gaps in knowledge through research, mentorship, workshops, seminars, and conferences related to the healthcare and interpreting fields. Deaf patients looking for medical assistance, from routine checkups to emergency services, must go above and beyond to seek out institutions with reputations for providing communication access, or fight the battle to receive the accommodations they are entitled to. This discrimination is unacceptable in our modern day. To ensure your institution provides equal access to patients of all abilities, be sure to maintain a list of qualified Medical Interpreters. 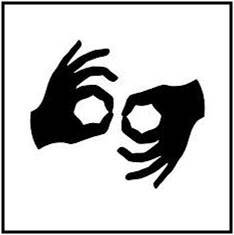 LC Interpreting Service is proud to provide high quality medical interpreting services for deaf/HoH, deaf-blind, deaf close-vision, or late-deafened consumers. We emphasize both patient and provider satisfaction!